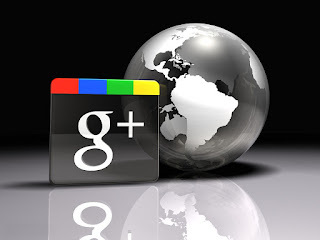 Many people see Google+as just another social platform. But is it? With Facebook drawing the crowd—from teenage girls to grandma—why would anyone want to launch a page elsewhere? Facebook is where the action is, right? And maybe not … it all depends on the kind of action you are looking for. The exact percentage is unknown, but it is probable that between one-third and one-half of all internet users have a Facebook account. Many people and companies have multiple accounts, of course, but not all of those are actively being used. Google, on the other hand—with properties as varied as the Google search engine, YouTube, Gmail, Google Maps, Google Earth, Google Images, and a whole lot more—gets visited by the majority of internet users every single day. To compare Google+ to Facebook is not at all an apples-to-apples pursuit. They are both social sites, where users can post their thoughts and link up with others who share common interests, but there is much more to the picture than that. The important thing to remember here is that Google did not get to the top because they ran the best advertising campaign. They became the world’s premier search engine in one way only: by returning the best results.Google has consistently focused onmaking sure you find what you are searching for—with as little spam as possible thrown in the mix. Google sees G+ as much more than just another social gathering site. Google launched G+ as a means of integrating the entire Google family. That, my friend, is social media on hyper-fuel. G+ users not only get access to Google’s incredible array of multimedia and networking possibilities, but the more anchored they are in Google’s various services the more bang they will get in Google search results. And, for many companies and individuals, search result ranking is a prime consideration. You can post on Facebook all you want. If you want to see your message show up in a Google search, though, you stand a much better chance by posting on Google+. Certainly, your primary concern (before spending time on any social media site) is to determine exactly what you hope to accomplish. But whether your desire is to build brand identity, establish yourself or your company as a thought leader, contact potential customers, keep in touch with (not only by speaking, but by listening to) current customers, or making sure your sites show up on the first page of Google’s search results—Google+ has something for you. · Your follow others by “circling” them. By grouping your Circles into target groups, you can direct your messages to specific interests, effectively building mailing lists with G+. · G+ Hangouts allow you to hold a public or private video chat with those you invite. You can have a sales team meeting or make a presentation to one or more clients—all from your Google+ page. · Use rel=author, rel=publisher and rel=me attributes to tie your other web pages, blogs and online content (no matter where it is published on the internet) to your G+ presence. This builds “juice” on the Google search engine and is like putting a watermark on all of your properties. Add the ability for others to vote for you via the Google +1 Button and you weave a seamless link that can add serious bang to your internetmuscle. · Take advantage of the G+ Ripples function to see how many times your content has been shared (and by whom). You get a graphical representation of your reach on G+. · Use the Chat function for instant messaging (integrated with your Gmail contact list). · Use G+ Search to discover what is being said about your brand or your interests. Then get involved in the discussion. · Check out what is Trending to stay abreast of current topics. · Use the power of Shared Circles to quickly build and expand your list of people and businesses you want to speak with and listen to. Should my business be represented on Google+? There are more sites on the internet where you can invest your time than there are hours in the day available to participate. It is impossible to be everywhere or to speak with everyone. That brings us back to the maxim: Know what you hope to accomplish, then choose your platforms wisely. Perhaps the number one reason to include Google+ in your online presence is because Google+ is Google—and it is likely that the line between G+ and the other Google services (especially Google Search) will become increasingly thin. Google+ is about much more than the individual features themselves. It’s also about building a meaningful relationship with users so that we can dramatically improve the services we offer. Understanding who people are, what they care about, and the other people that matter to them is crucial if we are to give users what they need, when they need it. Should you maintain a Google+ presence for yourself and your business? Only if you care about ranking high in search results or communicating with others. Otherwise, don’t bother. Go talk about your upcoming high school reunion on Facebook. Why waste time on G+? Lane Goodberry is an article writer from Western USA. He loves to provide information on Small Business , SEO copywriting and entrepreneurship.